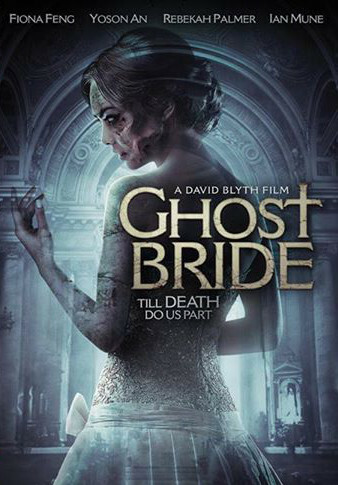 Ghost Bride is David Blyth's latest New Zealand horror film. David Blyth's most recent horror film Ghost Bridge is now available on DVD. You can buy it here, direct from DavidBlyth.com for just $NZ 25.00 including postage. 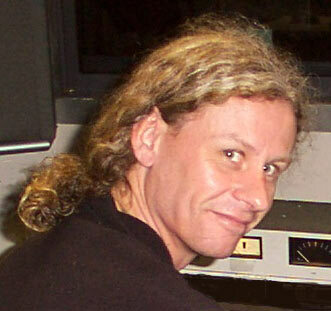 Angel Mine is David Blyth's second film release and a social commentary that renewed calls for more censorship when it was released in 1978 in New Zealand. An interesting fact often overlooked was that it fairly predicted the advent of the viagra revolution. New Zealand has become known as Middle Earth as film maker and self confessed "Hobbit" Peter Jackson returned, a world conquering hero. New Zealand is very proud of its world class heroes. David Blyth is a contemporary of Peter Jackson. Indeed, David's first horror film, Death Warmed Up had fans running and screaming in the aisles about the same time Bad Taste was being made and Gremlins came out. Death Warmed up charmed the international festival circuit, see what Alejandro Jodorowsky said about his encounter with David and his high regard for this scarey film. David went on to make Hollywood productions including Mighty Morphin Power Rangers and continued to make great New Zealand film, including Kahu and Maia - starring the internationally successful Maori actor Cliff Curtis. David Blyth has recently collaborated with maverisque muso Jed Town in a stunning collaboration, Fish Tank Telly. Check it out. It's a new wave of fish tank videorama set underwater and brilliant music. Horror Unleashed! - A celebration of the dark and fantastic films of Kiwi enfant terrible David... Come - on a journey into the dark and fantastic cinema of New Zealand's enfant terrible, David Blyth, for the first major retrospective of films from this controversial director. A new digital archive war veteran legacy series which covers WW2, Korea and Vietnam. Currently 20 interviews have been completed of 40 Veterans lined up. Here is David Blyth being interviewed. What first inspired your interest in cinema and encouraged you to begin making films yourself? Well the very first film I remember seeing in a cinema was the wonderful poetic children’s film The Red Balloon. The film that really talked to me and sent me on my journey into filmmaking was seeing Luis Bunuel’s Discreet Charm of the Bourgeoisie at Auckland’s Lido Cinema when I was about 17. Bunuel’s seamless ability to move between reality and dream fascinated me. I was hooked. Circadian Rhythms, a 14-minute film shot in black and white, grew out of watching films such as the expressionist The Cabinet of Dr. Caligari and in particular Luis Bunuel and Salvador Dali’s collaboration on the short film Un chien andalou, a film I watched multiple times, trying to deconstruct its unconscious cohesion. Circadian Rhythms was a collaboration with Richard Von Sturmer and to this day I believe it’s unlike any other Kiwi short film. Did you have any formal film education or training as such? I have a Bachelor of Arts degree from Auckland University, which included doing Dr Roger Horrocks’ film course as well doing the practical film papers at Elam with Tom Hutchings. In the mid ’70s there were no film schools in New Zealand. My training came from watching lots and lots of films. Discovering different directors such as Rainer Werner Fassbinder, with dynamic cinematic style, unconsciously assimilating the language of film. What were the circumstances by which you came to make Angel Mine at the age of 22 in 1978? One of Auckland’s film characters from the past was Jack George, whose film studio was in Pollen Street in Grey Lynn. Jack had the black and white processing machine that processed the 16mm Ilford Fp4 black and white film stock for Circadian Rhythms. He told me that Agfa were about to introduce a new 16mm colour newsreel reversal stock into the New Zealand market, so I approached Agfa with a proposal and they agreed to supply the reversal stock for free. Ultimately Agfa had decided not to introduce the new stock into NZ when I shot Angel Mine, so in the end I had to send all the exposed film in one box to Belgium to be processed. Shooting the film blind with no rushes was not an ideal situation but it was free and enabled Angel Mine to be made. In those days the funding body was called the QE2 Arts Council. I got $5000 from them on the basis of a treatment for Angel Mine and them having viewed Circadian Rhythms, which by then had been selected for the Auckland, Wellington and Sydney Film Festivals. I met Warren Sellers who had just come off working on [historical television series] The Governor as the production designer – he was full of enthusiasm and, incredibly for me, took me seriously and put together a real film crew that included DoP/camera operator John Earnshaw. Am I right in thinking the Interim Film Commission funded Angel Mine’s post-production? I was definitely a beneficiary of a new institution that had not yet formulated funding guidelines. I believe it was my youthful enthusiasm and the unexpected timing of me being at the IFC’s first ever meeting, as well as there being some very compelling moving images on display. Today a film like Angel Mine would not get past the New Zealand Film Commission’s assessment systems. 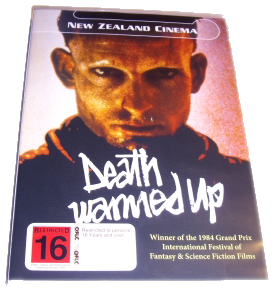 NZ ON Screen has provided this overview of his films saying that Director David Blyth has created some of New Zealand’s most graphic and challenging movies dealing with horror, sexuality, and the sub-conscious mind. In Pushing Boundaries they detail some of David's innovative achievements and trials, and how making WOUND reinvigorated his passion for film making. Here is David's Screentalk interview with NZ On Screen. David Blyth's film about his grandfather's World War I experiences has spawned a project to record similar tales from World War II, Korea and Vietnam veterans called Memories of Service. A film maker, David got his 97-year-old grandfather, Lieutenant Colonel 'Curly' Lawrence Blyth, to talk about his experiences on the Western Front and the liberation of Le Quesnoy, France, for a documentary, Our Oldest Soldier. Read the full article here.